In Step 10 and Principle 7 we will begin to put into practice all the steps and principles we have learned thus far. We are beginning to live in reality vs. denial, we have made our amends and now we desire to grow in our relationships with God and others. Principle 7 nicely complements Step 10. Taking our daily time with God for self-examination helps us prepare for our personal inventory. Something I learned about a couple of years ago was The Examen. The Examen is an ancient practice in the Church that helps us see God’s hand at work in our whole life experience. It is a technique of prayerful reflection on the events of the day where we can detect God’s presence and discern his direction for our life. 1: Ask God to bring to your awareness the moment today for which you are most grateful. 2: Ask God to bring to your awareness the moment today for which you are least grateful. 3: Give thanks for what you have experienced. If possible, share these two moments with a friend. The Examen is a different way of taking daily inventory, but I like how it combines my prayer time with God and a daily reflection. There are many ways to work The Examen I hope you will look into it further and consider trying it. I think you’ll find it a sweet time with God as you look back over your day. Enjoy this brief video that will walk us through The Examen. If you can’t see the video screen below click here . 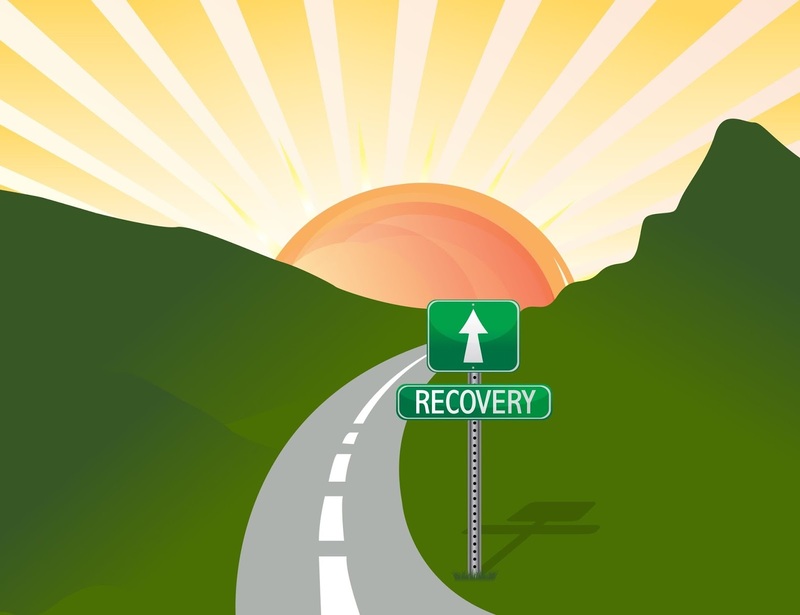 IN THE ROAD TO RECOVERY COLUMN WE ARE WORKING THE TRADITIONAL 12 STEPS OF RECOVERY, ALIGNed WITH THE yearLY CALENDAR, along with the EIGHT PRINCIPLES OF CELEBRATE RECOVERY THAT ARE BASED ON THE BEATITUDES of Jesus Christ. PRINCIPLE 6 (Celebrate Recovery): Evaluate all my relationships. Offer forgiveness to those who have hurt me and make amends for harm I’ve done to others, except when to do so would harm them or others. Last month in Step 8 we worked on listing the people we need to make amends to. This month we take the next, maybe the most freeing step, and actually make the amends. This is a difficult step but a critical point in our recovery. Without this step we will continue to beat ourselves up and continuing to carry more shame and guilt which could be the driving force to possible relapse. The *Celebrate Recovery program is full of beautiful acrostics that help flesh out the work of each step. Each letter in the acrostic helps us make the next important step in the process of making our amends. Take some time to sit with the acrostic. Read it. Meditate on it. Journal how you can apply each letter’s step to your life as you prepare to make your amends. A — Admit the hurt and the harm ~ Holding on to old resentments blocks our recovery and God’s forgiveness in our lives. M — Make a list ~ Not worrying about how we will make the amends we simple list the people we have hurt. E — Encourage one another ~ It’s important to meet with our sponsor or accountability partner beforehand to practice making our amends. N — NOT for them ~ Without excuses or justifying our actions we make our amends humbly, honestly, sincerely and willingly. We focus on our part only. D — Do it at the right time ~ Before making our amends we should pray for God’s guidance, direction and perfect timing. S — Start living the promises of recovery ~ Embracing true freedom from our past we are now ready to receive God’s plan and purpose for our lives. Remember, the recovery process is not meant to be worked alone! Reach out to your sponsor or accountability partners to assist you. If you’re not in a 12 Step program please click here to find a CR group near you. If you can’t see the video screen below CLICK HERE to watch our Road to Recovery theme song. After all the searching and confessing it’s now time to take responsibility for our actions. Similar to the moral inventory of Step 4 we will list all the persons we harmed when acting out in our addiction or dependency. In fact, using our inventory list can help us determine who belongs on our amends list. Reliving how we have harmed others is difficult. But with God’s help we can recall the names and faces, making notes as thoroughly as possible we prayerfully examine each person and our relationship with them. Remembering the faces of those we have hurt, can be a very painful process. But we must write their names down, carefully considering our relationships and how we harmed them. Total honesty with ourselves is vital so we can go forward with peace of mind. With the pain of remembering the damage we have done, comes a welcome relief that we’ll no longer cause these injuries to our self and others. Step 8 prepares us to continue the work of making amends. After making our list we are ready to ask God to give us the willingness to make those amends. As God helps us work these steps we will have the strength and the tools to heal our broken relationships. In THE ROAD TO RECOVERY column along with working the traditional 12 Steps of Recovery we are working the Eight Principles of Celebrate Recovery that are based on The Beatitudes of Jesus. Our steps align with the monthly calendar. STEP 7: We humbly asked God to remove all our shortcomings. This leg of our recovery journey continues to be challenging. In Step Four we examined ourself through our moral and spiritual inventory. Step Five required the discipline of confession to a trusted friend or mentor. With Step Six came a time of repentance followed now by Step Seven and the purification of our character. Having become willing to yield our defects to God we now must bow humbly before our creator in the hopes that He will see fit to remove them. It’s important not to confuse humility with the humiliation that we may be very familiar with as recovering addicts. God doesn’t want to shame us, He only wants us to submit ourselves to His way for our life. We need humility to recognize the severity of our character defects. Without it we may minimize the pain they cause to ourselves and others. We need humility to acknowledge the limits of our humanity. We can’t remove these character defects with our intellect or willpower. We need humility to appreciate that it’s only God’s mighty power that can transform our life. Our goal at the end of this step is to find peace with ourselves. When we go to God we must bring our inventory list and be specific in our prayer. It can be painful and difficult going through this list of wrongs again. Our stinking thinking may tell us we’re not worthy of the growth and progress we’re making. But if we come with the right attitude God will honor our efforts. It’s been a long time since I’ve seriously struggled with unbelief. For some reason in this season of life I have strong faith that God can change external situations: relationships, living conditions, etc… But I have doubts when it comes to the complete change of my own emotional and physical weaknesses. In my readings today I’m encouraged to let go of my emotional crutches for happiness. Through prayer and meditation I can reduce the obstacles I’ve set up against God’s presence in my innermost being. In this way I will come closer to peace and healing. Step 1: We admitted that we were powerless over our dependencies–that our lives had become unmanageable. I think about how many times I’ve complained about maintaining this body of mine. Then God gently says in my spirit they if I weren’t alive I wouldn’t need to care for it at all. This is the same with our weaknesses of character. It is a huge pain to deal with – but what’s the alternative as long as we are breathing? As humans we are going to fail over and over again. The answer, of course, comes only by turning our weaknesses over to Him. How do I pass it on? Generativity is helping others. Giving back. Contributing to society. Making a positive difference. Creating a better world. Leaving a legacy. Guiding and encouraging the next generation and the many generations thereafter. The Christmas season is known as a time to be generous. But our giving back and paying it forward should be a year round practice. Over the years I’ve had the opportunity to share my story in person and on my blog. It is always encouraging to learn how my pain and mistakes have helped other women. Each season of life brings different avenues to share. There are times when I feel like I’m not making a difference. Then suddenly God reveals how my message has made an impact in a very simple way. We never know when or how our story is going to help others. So we must stay sensitive to the Spirit’s nudges and be ready with an answer of hope.